Wondering how it all works? This is the process, from start to finish, of a custom pet photography session with Hot Dog! Pet Photography! Once you’ve decided you want to get some photos of you and your pets, the first step is choosing the right photographer for you. We specialize in a fresh, modern approach to pet photography – be sure to check out our blog and portfolio to see our style. If you like what you see, you’ve come to the right place! We book our sessions on weekends; for most sessions, we recommend starting first thing in the morning (around 8:30 a.m.) or later in the day, near sunset (around 4:00 to 5:00 p.m. depending on the season). These times of day give us the best natural light. When you’re ready to book your session, check our availability here. To reserve your date, a $100 deposit is due at the time of booking. The deposit is applied to your session fee and is non-refundable. We also require a signed contract and model release before your session. The remaining balance of your session fee is due on the date of your session. We’re happy to reschedule your session in the event of inclement weather or illness, but we ask that you give us as much notice as possible. First, you’ll need to choose your location. 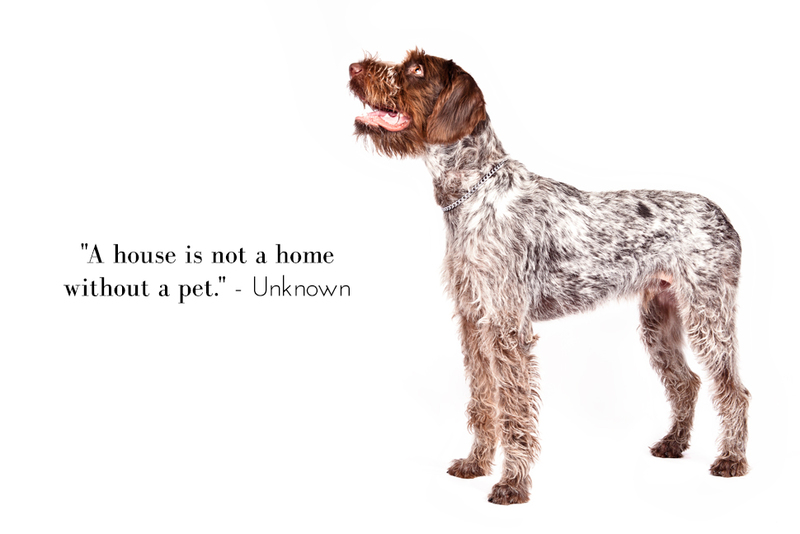 Home is always a great choice, especially for cats and shy dogs. Parks and quiet urban areas are nice choices, too. Ultimately, it’s up to you and where you and your pets will be most comfortable and safe. A well-exercised pet is a well-behaved pet, so it’s helpful to take your dog for a walk prior to the session. It’s also a good idea to feed him or her a little less than normal a few hours before the shoot – when a dog is a little hungry, he or she will be more inclined to behave well for treats! We always bring water and a travel bowl, but it can never hurt to have extra water when we’re working outside. You’re more than welcome to bring any props you think will help us tell the story of your pet! A dapper collar, favorite toys and cute accessories can enhance the session but aren’t necessary. Please feel free to ask us for advice on what would look best. Your pet’s safety during this session is our number one priority. You must be present for the entire duration of the session. If you have concerns about your dog being off-leash during the session, please use the leash. However, if you plan to do so, we recommend a thin style of leash such as a retractable Flexi leash, as it will be less noticeable and easier to remove in post-processing. While the primary focus of this session is your four-legged friend, we absolutely welcome you to join in for some of the shots! Even if you don’t wish to be included, do be mindful of what you wear as you will likely appear (at least in part) in some of the images. The remainder of your session fee (minus the $100 deposit) will be due at the session. About two weeks after your session, we’ll email you with a link to your own private online proofing gallery! This will contain approximately 30 edited images for you to review, choose your favorites and order products. This gallery is only available online for 14 days, so you’ll want to be sure to set aside time to place your order during this timeframe. Our average client invests about $1000 in products. All product payments will be due in full before the order is delivered. For payment, we accept cash, check and all major credit cards. 6% Florida sales tax (plus applicable county surtax) is applied to all sessions and products. Depending on your order, your beautiful new products will be delivered to you in about 2 to 3 weeks. Now all that’s left to do is enjoy! A model/property release is a legal release signed by you granting us permission to publish the photographs from your session. We ask our clients to sign this release so that we may share the images of your pets on our blog, portfolio and Facebook page. As a photographer, it’s important to be able to share examples of our work, so we kindly ask that you help us by signing the release. How will my images be used by Hot Dog! Pet Photography? You can expect to see images from your session proudly displayed in a number of possible ways: on our blog, in our web portfolio, on our product samples, on promotions for our business, on our social media channels, etc. We do not sell images of our clients to stock image agencies or other commercial enterprises. If a brand or company wants to purchase one of our images of your pet, we would only do so with your express written consent. Do I get the RAW image files? The short answer is no. In an average session, we takes hundreds of images. Not every image is going to come out perfectly; we’ll comb through an assortment of silly expressions, closed eyes, and snouts pressed up against the camera lens to find the absolute best possible shots of you and your pets! Part of our job is to capture the whole “story” and then present it to you in a thoughtful and artistic way, so please trust us to find the diamonds in the rough and make them shine – we promise you’ll have plenty of images to choose from! First, let’s define what copyright means in the U.S. By definition, a copyright comes into existence automatically the moment a professional photograph is created. By law (Federal Copyright Act), that copyright belongs to the photographer. A client who commissions and purchases the photograph (whether in print or digital format) does not obtain ownership of the copyright, and any transfer of copyright ownership must be cited explicitly in writing. Legalese aside, no – you will not own the copyright to the images. But that’s not a bad thing! There’s a common misconception that owning the rights to your photos is crucial. Every photographer is different, but most will surely give you permission in your contract to use the photos for personal use. Depending on the package you book with us, you will have the right to use the images we deliver to you as defined in your contract; for most people, this can include sharing on Facebook, printing photos at a lab, etc. But copyright ownership remains with us, the creators of the images. May I purchase the final images? Sure! We offer digital images in a couple formats: 1) high-resolution images, which are designed for printing up to 16″ x 24″ (we recommend Mpix.com as a reliable consumer lab); 2) web-resolution images with a small watermark, which are designed for social sharing and digital photo frames. When you purchase digital images, you will receive a written release for the files; however, we retain the copyright on all photographs. Why should I order my prints/photo products through you? We ensure that all of your prints, canvases and photo products are optimized and color corrected for printing. All prints are professionally printed on quality paper to ensure that your memories are preserved for a lifetime.